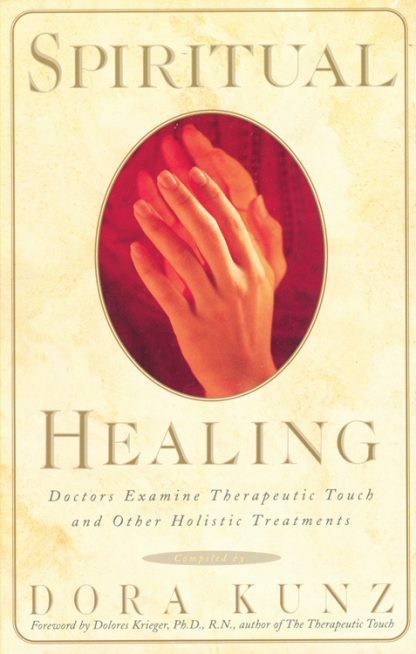 'With a forward by Dolores Krieger, Ph.D., R.N., and author of Therapeutic Touch, Dora Kunz, codeveloper of the healing method of Therapeutic Touch, presents the thoughts of physicians and other healers on the spiritual dimensions of medical treatment. In this updated version of a classic among holistic health manuals, accomplished healers including Bernie Siegel, M.D., and Larry Dossey, M.D., reveal their transcendent techniques for treating the whole patient, not just the patient's symptoms. In the new chapter on pain reduction, Kunz and Dr. Erik Peper, director of the Biofeedback and Family Therapy Institute in San Francisco, present step-by-step therapy for emotional pain, acute and chronic physical pain, and the malignant pain of the dying patient. All six parts of their well-known paper "Fields and their Clinical Implications" are included. Healing for the healer is also addressed with specific suggestions that help physicians and others sustain centeredness when treating patients in pain.